Working on my doctoral degree right now takes up most of my free time, but I also love running, reading and gardening! Our 50 week challenge is designed to connect with teachers who tutor in all 50 states. If you like these jokes, check out our Top 10 Jokes for Teachers! We love chemistry, chemistry teachers and especially chemistry teachers who tutor! Chemistry teachers are great tutors! Thanks for Teach with Fergy our proud sponsor of our Chemistry Jokes for Teachers. We have a full list of 1,000+ Jokes for Teachers! 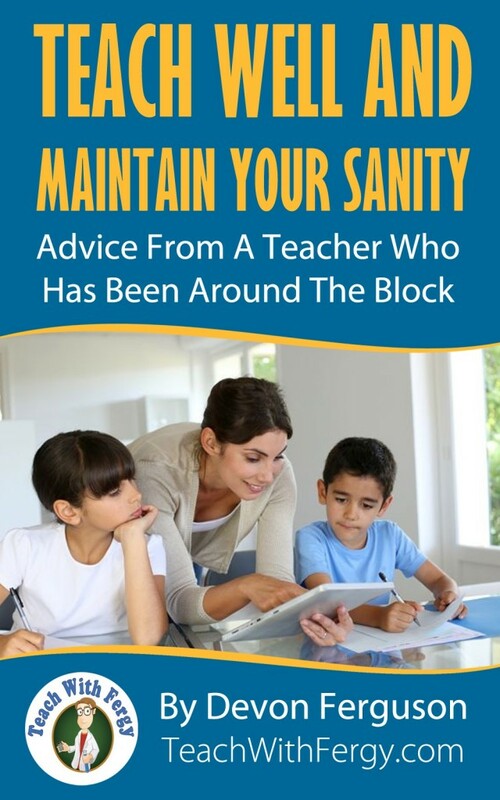 This post comes from his new eBook – Teach Well and Maintain Your Sanity. If you are interested in learning more about the book, please CLICK HERE. Chemistry teachers are great tutors! Find one today! What did one mole say to the other?… We make great chemistry together. Why did Avogadro stop going to a chiropractor on October 24th?… He was only tense to the 23rd! How many guacs are in a bowl of guacamole?… Avocados number! If a mole of moles were digging a mole of holes, what would you see?… A mole of molasses! What does Avogadro put in his hot chocolate?… Marsh-mole-ows! How does Avogadro write to his friends?… By e-mole! What do you call a tooth in a glass of water?… A one molar solution. Why is Avogadro so rich?… He’s a multi-mole-ionare! Why is Avogadro in love with Cindy Crawford?… She’s his favorite super-mole-dle (and she has a mole). What did the generous mole say when his friends crashed his party?… The mole the merrier! What kind of test do student moles like best?… Mole-tiple choice. What happens when a mole bites a dog?… He becomes Moleicious! What are mammoles?… Four-legged animoles! Why cant Avogadro have pets?… Because he will mole them. Why does the chemist like going to the zoo?… To see the animoles. Which tooth did Avogadro have pulled?… One of his molars. Why are moles bad at counting? Because they only know one number. What’s the mole’s favorite brand of soda? Coca-Mola. Why are moles always on the phone? Because they love moleble devices. Why are moles always eating?… Because they’re molenourished. What happened to Avogadro when he had to drive over a bridge?… he had to pay at the molegate! Where does Avogadro plant his trees?… moles in the ground. What was the problem Avogadro had with his shoes?… He wore the moles out too quickly! Why don’t moles like teenage actresses?… Because Lindsay Molehan gives them a bad reputation. What did Avogadro do when he lost his job?.. he joined the mole queue. How do moles finance their homes?… With a molergage! Mole Day Dictionary: Demoleition: The destruction which moles bring about in your yard.